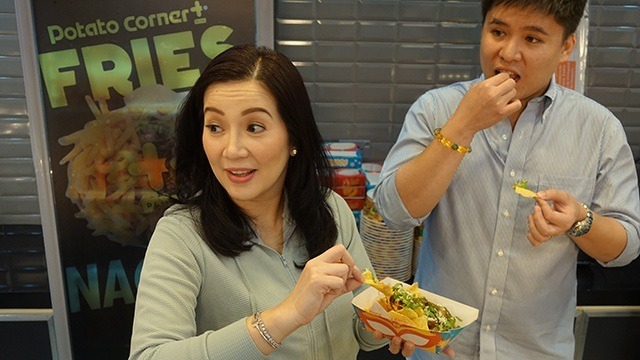 Would You Invest Php2M-Php3.5M in a Franchised Stall of Kris Aquino's Nacho Bimby? She’s been called the Queen of All Media and many other titles, but for the past two years, Kris Aquino has been busy learning the ropes of running a food business as an entrepreneur. Her newest venture is Nacho Bimby Pilipinas Corp., a food cart concept that serves tortilla chips topped with a variety of dressings and pulled beef. Aquino named the business after her second son, James Yap Jr., whom she affectionately calls Bimby and whose favorite snack is Tex-Mex cuisine. Aquino made headlines last year when she announced she was leaving ABS-CBN Broadcasting Corp., the country’s biggest television network by revenue, where she worked as a top talent for 20 years. In late 2016, she launched an online show called Heart to Heart with Kris, capitalizing on her huge social media following. As of mid-August 2017, her Facebook page has 579,000 likes while her Instagram account has 3.1 million followers. But even when she was still on TV, Aquino had been investing in several food brands as a franchisee. She co-owns different branches of Chinese fast-food chain Chowking, chicken barbecue chain Mang Inasal as well as famous food cart Potato Corner. 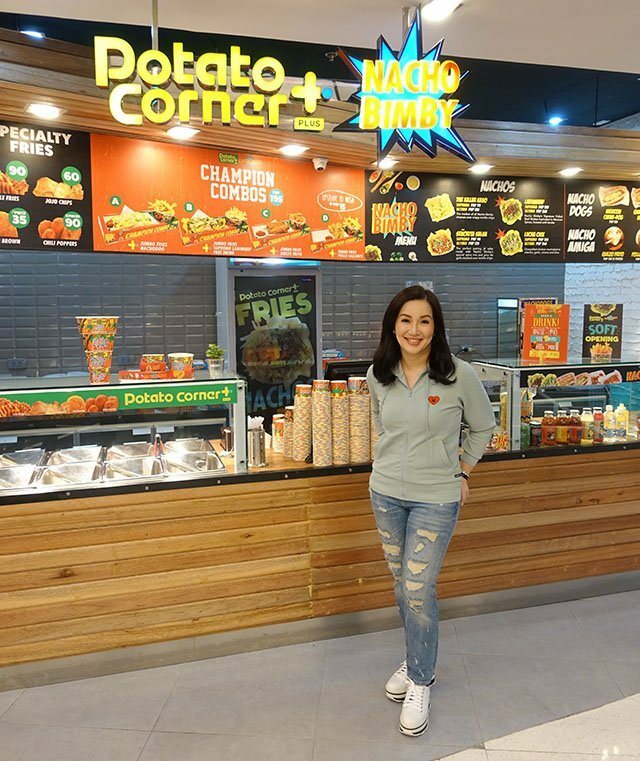 Nicko Falcis, business manager of Nacho Bimby, told Entrepreneur Philippines that Aquino was supposed to invest in another franchised branch of Potato Corner in 2015. In another video, Aquino said she was encouraged by her business partner, Dom Hernandez, to develop her own brand instead. In September 2015, Aquino opened the first branch of Potato Corner + Nacho Bimby (PC+NB) in Promenade Mall in San Juan City. Potato Corner + Nacho Bimby now has eight company-owned branches across Metro Manila, a majority of which are located alongside mall cinemas. Falcis said the company chose to partner with Potato Corner as it aims to be as big as the brand, which reported Php1 billion-worth of sales in 2015. And just like its partner, Nacho Bimby aims to expand through franchising. In fact, Nacho Bimby has three more stalls that were set up by franchisees, bringing the snack food chain’s branches in Metro Manila to 11 stalls. “We have two set-ups: a partner store is a joint venture between the mother company and franchisee. On the other hand, a full franchise store is 100 percent owned by the franchisee,” Falcis explained. The brand has different store formats that range from 30 square meters to 45 square meters in size, with investments ranging from Php2 million to Php3.5 million. The packages already include the construction of the branch, store equipment, staff training, marketing support and initial inventory that may last for up to two weeks of operations. While the first batch of Nacho Bimby branches stand beside a Potato Corner stall, franchisees may opt not to have the latter and just serve the NB brand. In a video posted online in July, Aquino shared that the investment payback period for most of NB’s branches has been quick. “The investment is not so big so we got the ROI (return on investment) quickly. From our experience, it’s about 30 months,” Aquino said. Falcis says that the company is bullish with its targets as it expects to close 20 franchising deals by the end of 2017 and plans to open new branches in Cebu and Davao in the next 12 months. Have You Heard About This Bacon Subscription Service?